So far we'd only found microcaches...our next hunt was for a cache with "swag" in it. We filled out pockets with random bits and pieces (you know, the sort of things you get in crackers and put in a drawer cos you can't bear to chuck it away!) and off we went. Once more we were walking through countryside we know well and have walked many times without knowing about geocaches. 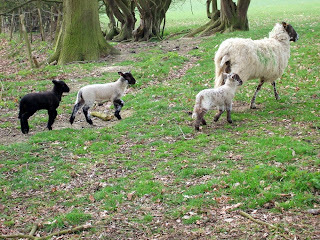 Kent is at its best right now, the new lambs are finding their feet - literally! The world seemed full of baaaaaaing, as new lambs and new mums struggled to find each other. 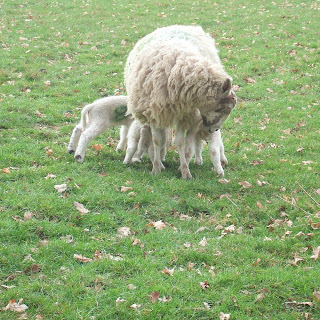 We grew quite attached to lamb27 who was quite sure he could get mum3 to suckle him - but she wasn't having it! 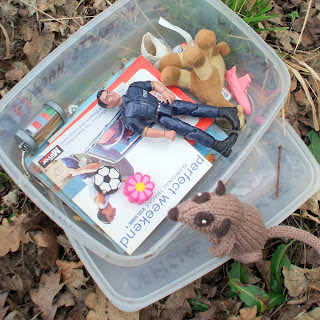 We found the cache - and it was stuffed full of goodies! Protocol dictates that you swap items of equal value, so we swapped a flower eraser for a footballing one, and signed the log. Sadly the sun disappeared and we remembered that actually it's best to wear jackets in March :-( so we scurried home to sign the virtual log and look for our next cache! 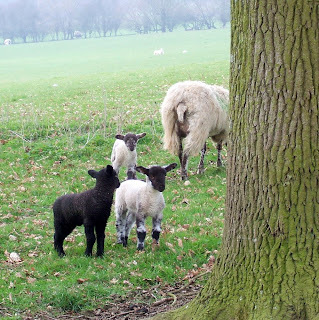 Oh look at the lambs...wonderful blog post! How cool! 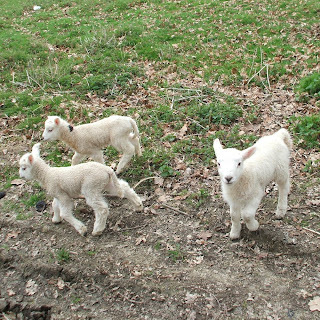 Love the pictures of the baby lambs. Aaahh..brilliant. I will have to tell my hubby about this.